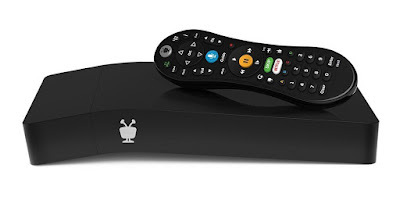 Edit: As of February 14, 2019, a lawsuit has been filed against Omniverse which alleges that Omniverse does not have the authority to distribute the content that currently makes the HDHomeRun Premium TV service possible according to multiple sources. SiliconDust's new service allows you to cut the cable cord while keeping a great group of cable channels using your internet connection with at least one HDHomeRun tuner. The service is compatible with MythTV and other open-source software. MythTV allows a home theater computer (HTPC) to be a networked digital video recorder (DVR). Soon after HDHomeRun Premium TV became available, SiliconDust confirmed that the video format is compatible with open-source software, and MythTV users began making it possible to watch and record the content. More information about how to use the service with MythTV can be found at the MythTV Community Forum, and it will most likely eventually be in the MythTV Wiki. MythTV is compatible with encrypted channels from cable companies using a CableCARD tuner, but it is not compatible with the copy protection that some cable companies use on many of their channels. Comcast generally encrypts all channels but generally does not copy protect channels other than premium channels such as HBO. Other cable companies such as Spectrum and Frontier Fios have copy protection on many channels according to multiple sources. HDHomeRun Premium TV is a viable alternative if your cable company has the highly restrictive copy protection that disallows it to be used with open-source software. Just $34.99 per month gets you 45 channels in addition to the local channels you can get with an antenna. Edit: As of December 12, 2018, there is a contract dispute affecting the Hallmark, Discovery, HGTV, TLC, Food Network, Animal Planet, Travel and OWN channels according to SiliconDust. An HTPC with MythTV is very versatile, but it can take time to set up and update as needed. Choose MythTV if you want to maximize the savings or if you want a system that is highly configurable to your liking. SiliconDust's DVR service is currently $35 per year. Choose this DVR service if you want to minimize the time it takes to set it up and keep it updated. With MythTV, you will need a computer that needs to be powered on when needed to record or play a recording or live TV. With SiliconDust's DVR service, having a computer that needs to be on when a recording is scheduled is optional if you prefer network-attached storage. Not all of SiliconDust's tuners are compatible with HDHomeRun Premium TV. The service requires an HDHomeRun CONNECT (HDHR-2US), HDHomeRun EXTEND (HDTC-2US), HDHomeRun DUO (HDHR5-2US) or an HDHomeRun QUATRO (HDHR5-4US). Do you have any tips about how I should go about getting credit taken off my Comcast internet yearly amount billed as credit from my condo’s bulk contract like you do? I live in Florida. For almost 4 years I have been paying $9.95 a month for a companion box because I rent a dvr from them as my first box. They said I can’t get credit because the HD tv box my condo association pays for is not my first box. Thanks. Okay, so it looks like you want to stop paying the $9.95 per month fee for a box from Comcast and get a consumer-owned equipment credit applied to your Comcast bill. To have that done, I recommend that you return the Comcast box and DVR to Comcast, and request a CableCARD. A single CableCARD can serve multiple devices in your home. After that is done, you should not be charged for a box. Since your package includes one box or DVR, you should be entitled to the customer-owned equipment credit applied to your bill after you return the equipment. You should be able to request this unless your bulk account agreement has modified one or more of the FCC rules. You would need to check or have a legal expert check the bulk account agreement. Good luck. Keep in mind that equipment from your condo association is from Comcast and not owned by the association. I also get 2 DTAs paid for through my condo association, but I get no credit for them since I have a Comcast DVR and a non-DVR companion box and I was told numerous times that I can’t get an offset. I guess even if they refund some of my money they’ll just charge me $49.99 for basic internet and say they can’t find any promos that I qualify for. Digital transport adapters generally do not count towards making the first CableCARD having a fee as other boxes do, but verify this with Comcast. I also have two standard definition DTAs, and I am not charged a fee for my single CableCARD. No I rent equipment from Comcast. With my condo agreement I’m entitled to one Comcast HD non-dvr and 2 DTAs. I rent a DVR from them and another box that’s a non-DVR for $19.95 a month total for both. I don’t pay a fee for HD. I was wondering if I should be getting a credit toward either box rental from what my condo fees cover. Today Comcast told me my DVR rental should be $19.95 a month, so apparently I’m getting a discount on that although no one told me that when I asked a couple of other Comcast reps. I am not aware of any reason why you should currently be getting a discount credit from what you have described. So are you saying I’m not eligible for any credit towards my equipment rental so I should just buy my own equipment and get cable cards? Isn’t that the only reason I would need cable cards? I may do that anyway and just get Roku at some point and stop renting equipment from them. CableCARDs will not be around for many more years, but they remain protected by FCC rules. Based on new CableCARD products being developed and released, my guess is that they will be allowed by Comcast for at least seven more years. Yes, a CableCARD will allow you to use your own equipment and save money. I talk a little about that in the YouTube video at https://www.youtube.com/watch?v=sU_H_K8x46A and the blog post at https://htpc.tedsblog.org/2018/06/tivo-bolt-silicondust-prime-6-comcast.html. I hope it works out for you. Thanks for the info. After hours of research I finally discovered Comcast doesn’t charge a DVR rental fee. The fees I thought were for renting my DVR and non-DVR companion box are service fees. I also found an official Comcast rate chart that shows HD TV (non-DVR) boxes rent for $2.50 a month. Not a single Comcast agent explained that to me after talking to quite a few of them including again today. Anyway thanks again and if I have any other questions I’ll write again. With very few exceptions, Comcast charges for DVRs and cable boxes even if one or more of them is included in a package. This is the case when you consider FCC Rule 76.1205(b)(5) which requires cable companies to provide their customers a discount credit on their bill if the customer owns their own equipment instead of using equipment from cable company. So to clarify, I thought I was paying Comcast $19.95 to rent the 2 boxes and thought I was entitled to one HD box worth $9.95 a month. No one corrected my error at Comcast and instead (as usual) I had to search online for hours until I finally found the information (by accident) that cleared it up. Thanks. Keep in mind that if you decide to use your own equipment with a CableCARD instead of equipment from Comcast, it is generally possible to get a discount credit of at least $2.50 per month in addition to eliminating the monthly charges for the Comcast equipment.